A tribute to the late Chris Cornell occurred The Forum in Los Angeles Wednesday night. The special night event dedicated to the singer was a celebration of music and welcomed musicians of all walks of life to help honor their friend. 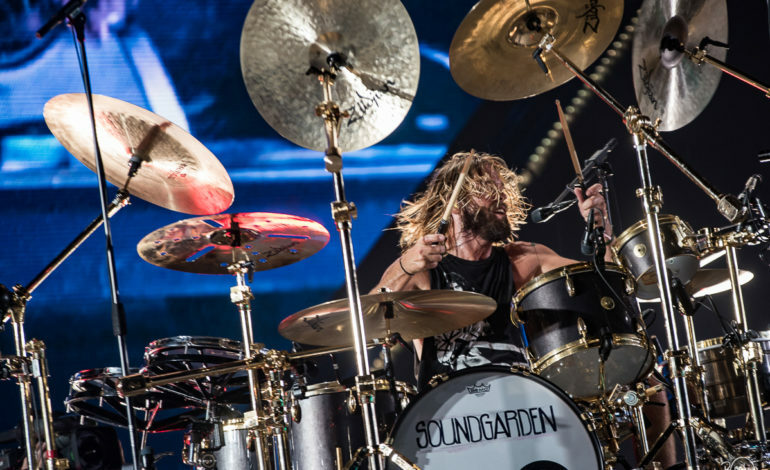 For the first time, members of Cornell’s band Soundgarden performed on stage together with guitarist Kim Thayil, bassist Ben Shepherd and Matt Cameron. It was a night to remember and as the show closed, the tribute ended with an intense 8 song Soundgarden set with performances by Taylor Momsen of Pretty Reckless and the “Gossip Girl” series, country singer Brandi Carlile, Foo Fighter’s drummer Taylor Hawkins, Wayne Kramer, and Cornell’s Audioslave bandmate Tom Morello. Below are some of the songs performed during that monstrous 8 song set including videos of those performances. Scroll down to watch. Taylor Momsen of The Pretty Reckless performed “Rusty Cage” alongside Soundgarden members. Marcus Durant of MC5 performed “Outshined” with members of Soundgarden. Momsen also helped performed “Loud Love” with both Tom Morello and Wayne Kramer. Taylor Hawkins and Buzz Osborne performed “The Day I Tried to Live.” Brandi Carlile along with Peter Frampton closed the set with “Black Hole Sun.” Check back to see footage of these two performances.